We provide sustainable water supplies and healthy watersheds while reducing flood risk for our communities. Protect the public from the harmful effects of regional flooding. Increase percentage of key infrastructure elements in acceptable condition. Increase percentage of levees meeting NFIP standards. Increase percentage of Dams meeting DSOD standards. Age of the Flood Control District infrastructure is the primary factor affecting the condition of flood control facilities. Increasing environmental regulations increase maintenance costs, and limit the scope of maintenance activities. Infrastructure components are becoming increasingly complex which increases maintenance costs. In order to keep flood control facilities in good operating condition, a programmatic repair and/or replacement effort may be warranted. Enhance horizontal infrastructure planning and project management. Revise and update short- and long-term sediment management plans. Invest in and adopt watershed approach to public outreach efforts. Investigate the need to transition to a more specialized workforce; investigate enhanced training for FMD employees. 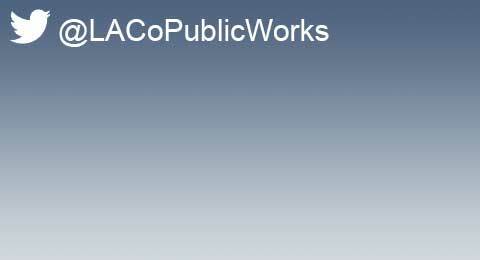 Provide reliable, high-quality drinking water for the customers of the Los Angeles County Waterworks Districts. By 2015, bank at least 10,000 acre-feet in the groundwater basin of the Antelope Valley. Implemented an Aquifer Storage and Recovery Banking Program. 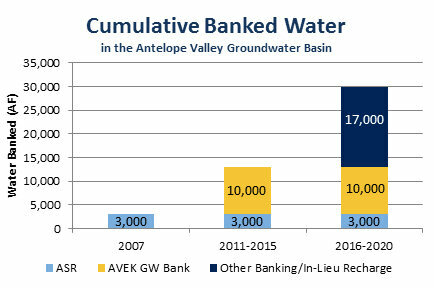 Completed an agreement with the Antelope Valley-East Kern Water Agency (AVEK) to bank imported water in one of its groundwater basin banks. Partnering with the City of Palmdale on the Upper Amargosa Creek Groundwater Basin Banking project and with AVEK on its groundwater basin banks. Completion of hydrological investigations of banking sites. Construction of the needed ponds, piping, wells, and pumps for water storage and recovery operations. Availability of surplus imported water for banking. Adjudication of the Antelope Valley groundwater basin. Work with AVEK's staff to construct infrastructure for groundwater basin banking and recovery operations. Work with stakeholders in the Antelope Valley to develop a comprehensive water supply strategy to maximize the benefit of available supply sources for all stakeholders. Establish a water supply charge for new developments for purchase of new imported water supply. 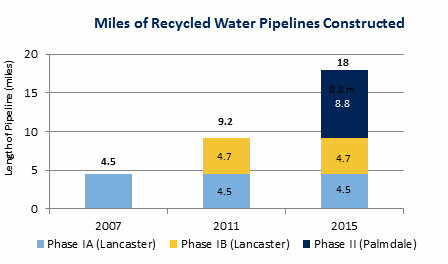 By 2015, construct approximately 8.8 miles of pipeline, a booster pump station, and a reservoir of the recycled water backbone system. Constructed a 4.5-mile segment and a pump station of the backbone system with funding participation from the City of Lancaster. Completed the design of 8.8-mile 24-inch pipeline, a tank, and a booster pump station (Phase II). The majority of the construction cost of the system will be paid by the City of Palmdale in order to secure recycled water to the Palmdale Power Plant. Establishing an operational agreement with the City of Lancaster for the recycled water system and use of recycled water. Construction of lateral lines to point of use. 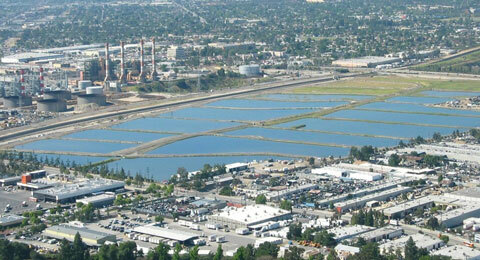 Completion of upgrades to reclamation plants. Negotiate agreements with the Cities of Lancaster and Palmdale for operation of the recycled water system and use of recycled water. Design and construct Phase II of the Recycled Water Backbone System. 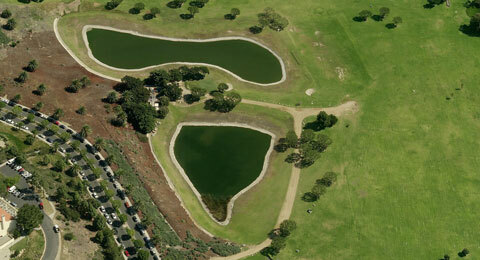 Improve water supply sustainability and reliability for the residents of Los Angeles County. Meet or exceed the average annual amount of storm, imported and recycled water recharged proportional to the annual precipitation. Determine cost and benefit of improving and/or increasing the number of dams, spreading grounds and seawater barrier injection wells to increase facility storage and groundwater recharge. 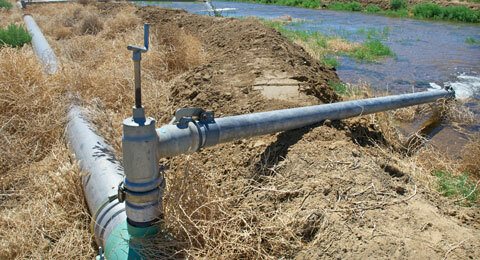 Evaluate maintenance routines to optimize groundwater recharge. Increase storage capacities at dams and spreading grounds and percolation at spreading grounds. Improve reliability and efficiency of water conservation operations by replacing/upgrading the dams and spreading grounds electrical, mechanical, and control systems. 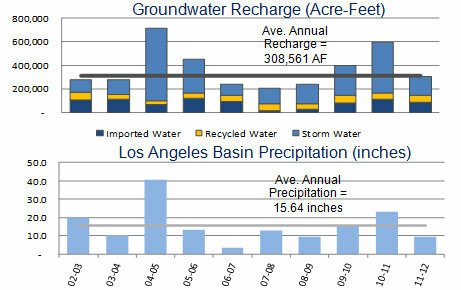 Change maintenance routines to optimize groundwater recharge. Implement upgrades at existing dams, spreading grounds, and seawater barriers to improve reliability and efficiency of operations. 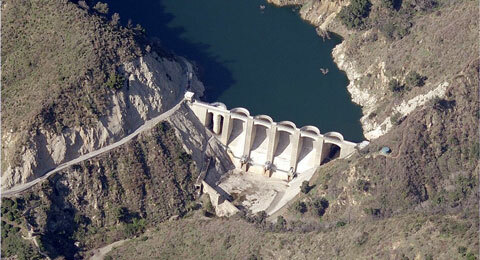 Plan projects to increase the storage capacities at dams. Plan electrical, mechanical, and control system upgrades at existing dams, spreading grounds, and seawater barriers to improve reliability and efficiency of the water conservation operations. 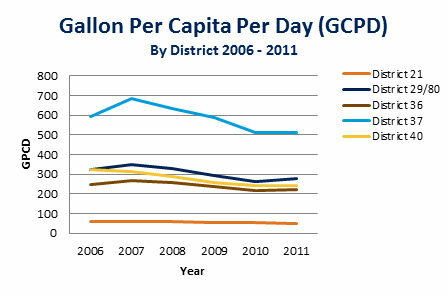 By 2015, permanently reduce per capita water use by 10 percent; and by 2020, permanently reduce per capita use by 20 percent from base-period usage, as defined by State Legislation SBX7-7, through water budget-based billing. Adopted a tiered-water-rate structure to encourage water conservation. Implemented a rebate program for purchase of efficient water-use appliances and free water-use surveys. 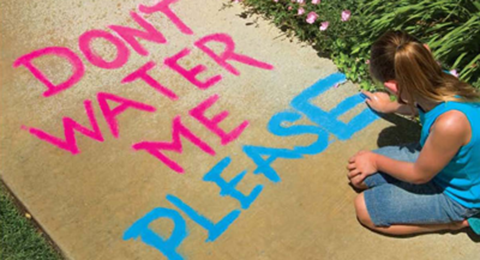 Implemented a public education and awareness campaign for water conservation. Worked with planning agencies to adopt ordinances for efficient water-use landscape and water wasting. Acceptance of water budgets and new rate structure by customers. Potential loss of revenue due to water sale reduction. Evaluate and implement water conservation programs in coordination with other retailers in the region to reduce per capita water use 10 percent by 2015 in all Districts. Operate and maintain the wastewater treatment plants to produce high-quality treated water for the protection of the environment and public health. Achieve over 90 percent regulatory compliance with all mandated treatment plant monitoring requirements. 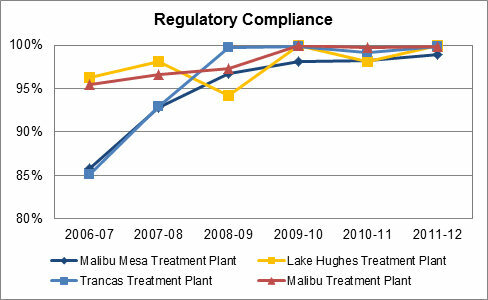 We have consistently exceeded 90 percent compliance at all four treatment plants since 2007-08. Major rehabilitation of the Trancas Treatment Plant completed in early 2008 was successful in bringing that plant into compliance with regulatory standards. Improvements in coagulant chemical optimization by jar testing chemical dosages and better monitoring capabilities provided by SCADA help to improve regulatory compliance at the Malibu Mesa Plant through 2007 and 2008. Continue to analyze SCADA monitoring data and respond to potential water quality alarms in order to maintain and improved process operation and control. 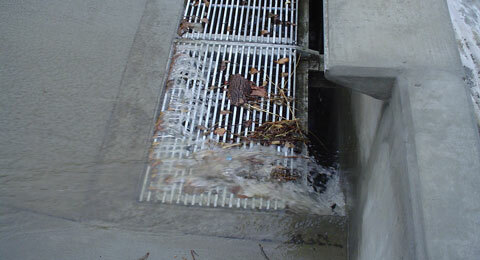 Contribute to Watershed Health by improving stormwater/urban runoff quality and enhancing community waterways. Maintain 100 percent resolution of identified illicit connections and unauthorized flows into waterways. By the end of fiscal year 2015-16, have 100 percent of FCD low-flow diversions (LFDs) operating 100 percent of the time, except during wet weather. Resolution of IC/ID is mandated by MS4 permit; increased FCD efforts have resulted in fewer annual IC/IDs. LFD uptime increase due to resolving start-up issues with new LFDs and improved FCD experience and capabilities. The RWQCB has adopted 33 TMDLs since 2001, and this number continues to increase. Some of these TMDLs are not supported by proper science. Some new TMDLs, developed for sewage or other point sources, are not reflective of the unique characteristics of stormwater, and are not achievable. 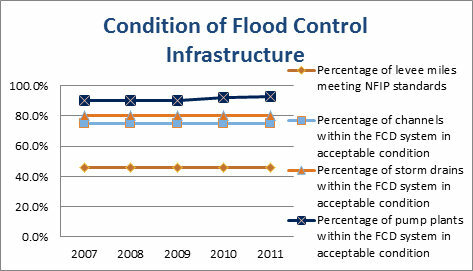 Overall water quality in the flood control system depends on measures implemented by cities within tributary city areas. Implement recommendations of LFD Task Force including system-wide upgrade of LFD telemetry and control systems and staffing increases of FMD LFD maintenance personnel. Collaborate with stakeholders to develop improved water quality standards. 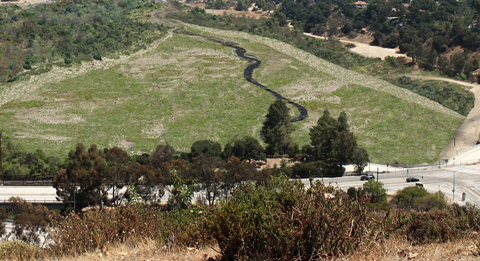 Actively participate in negotiations for the new Municipal Stormwater permit. Pursue creation of a Flood Control District-wide Water Quality Fee to provide financial assistance to cities for improving stormwater quality. By the end of fiscal year 2015-16, complete installation of 45 water quality monitoring stations. 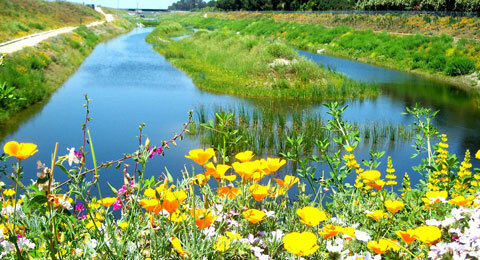 District has the role of a regional entity for the conveyance of stormwater and local urban runoff. 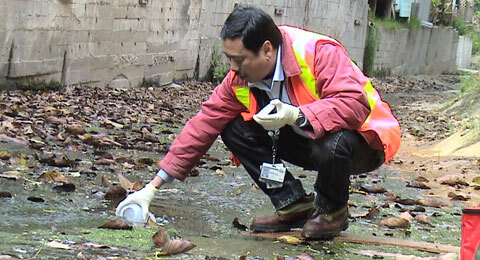 The quality of stormwater and local urban runoff conveyed within the District&apos;s system is affected by multiple sources of pollutants. Existing monitoring of the watershed mass emissions stations and tributary stations indicate the need to expand the system to identify priority areas within the watershed. 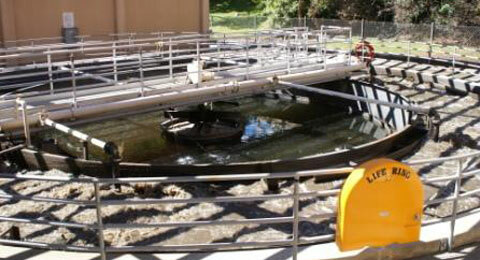 Planning for expanded monitoring project is complete; pilot program installation began in summer 2011. Develop a strategy to expand the WQ monitoring system. Develop a modern design to enhance the District&apos;s WQ monitoring system for its flood control conveyance facilities. Implement a Pilot Program to demonstrate the system capabilities while continuing to meet the District&apos;s monitoring requirements established by the NPDES permit. 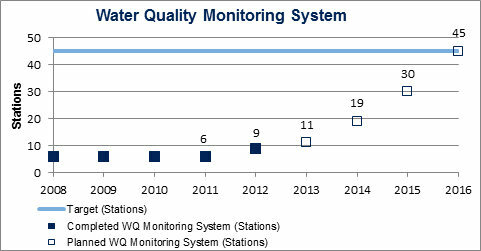 Implement the expanded WQ monitoring system within the District&apos;s channels in LA County. Continue to provide funding for monitoring and scientific studies to support creation of science-based regulations. Enhance or permit enhancement of five miles of FCD right of way with newly added recreation and/or landscape features by the end of fiscal year 2015-16, including LID and/or BMP related landscaping. The baseline miles of enhancements on FCD right of way is 222.4. Accurate tabulation of enhancements is made difficult by multiple adjacent enhancements and non-linear facilities. USACE levee vegetation policy may necessitate significant removal of existing enhancements and limit future options. Funding for maintenance and construction of enhancements is limited and not a high funding priority for the FCD. Develop Habitat and Vegetation Management plans for FCD right-of-way along all major FCD-owned channels. Request that the USACE revise their levee vegetation policy. Seek partnerships for maintenance of FCD right of way enhancements. Develop tracking system for existing and future FCD right of way enhancements and update baseline data as new source data becomes available.